Caterpillars, crickets, and ants; oh my! These little protein- and nutrient-packed morsels can help you build muscle, recover from workouts, and burn fat. So, what are you waiting for? Remember when buffalo meat first hit the market? Then it was ostrich, then tilapia, then Quorn. The latest protein source to hit the global market comes from good ol' bugs. With critters such as caterpillars and crickets being farmed like cows and chickens, maybe it's time for you to consider adding this readily available and efficient form of protein to your diet. Why, you might ask, should you even think about exchanging your burgers and chicken wings for beetles and cicadas? To save the world? Yeah, some of that. But insect protein provides the same—sometimes better—nutritional benefits than beef, chicken, or pork. And did I mention that they're gluten-free, dairy-free, and paleo-friendly? Studies of the dietary differences between insects and standard livestock (chicken, beef, pork) concluded that insect protein tended to be higher in micronutrients, sodium, and saturated fat. [1-5] The amount of unsaturated omega-3 fatty acid in some insects is comparable with fish. 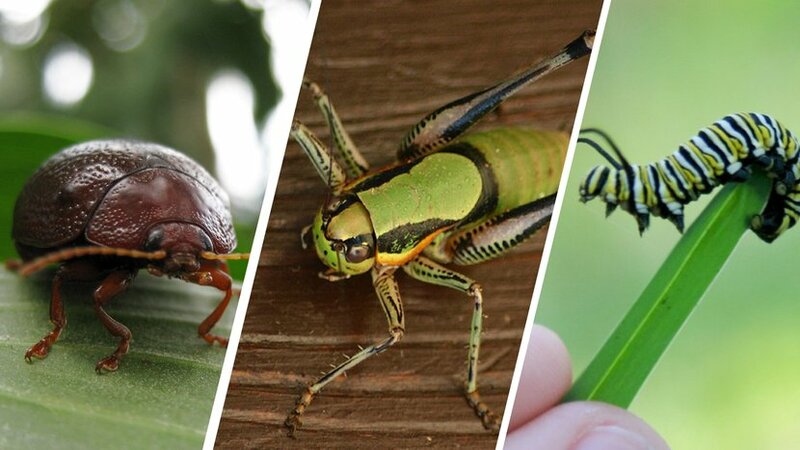 Since insects come close to providing the same nutrition as domesticated farm animals—and can do it more efficiently—there's an environmental argument in their favor as well. Food reserves are the lowest they've been in 40 years, and the human population is projected to reach 9 billion by 2050. Our species needs to come up with new protein sources. And those new sources have to be efficient to preserve the land and water we have left. Unlike most domestic livestock, insect cultivation has proven to be very sustainable, using up to 50-90 percent less land per 2 pounds of protein and producing significantly less greenhouse gas emissions in the process. Commercial insect-protein producers estimate that it takes about 500 gallons of water to produce a pound of chicken meat and 2,000 gallons for a pound of beef. Producing one pound of crickets, they say, requires only about one gallon. And since insects have such short lifespans, growers can quickly produce and harvest insect protein to meet immediate demands for food. Where Can I Buy Bug Protein? If you live in the Western Hemisphere, packaged insect protein is still hard to come by—for now. New protein bars made with cricket flour (yes, this is what you think it is: roasted, ground crickets) are becoming more available and can be found online. But because of the sustainability and nutritional power of bug protein, expect to see it become more mainstream over the next few years. Payne, C. L. R., Scarborough, P., Rayner, M., & Nonaka, K. (2015). 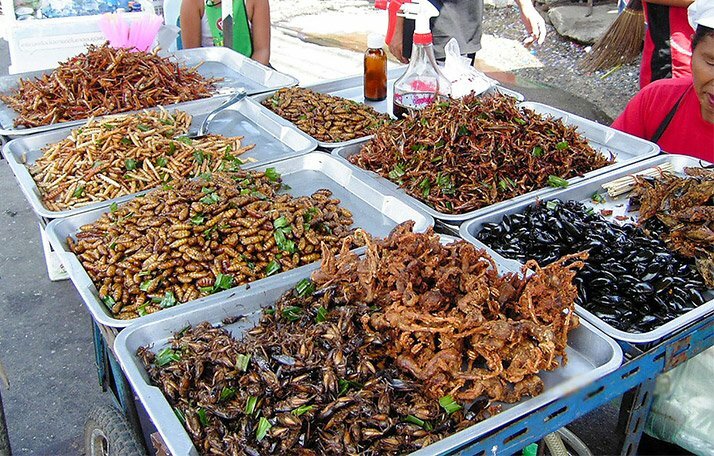 Are edible insects more or less 'healthy' than commonly consumed meats&quest; A comparison using two nutrient profiling models developed to combat over-and undernutrition. European Journal of Clinical Nutrition.